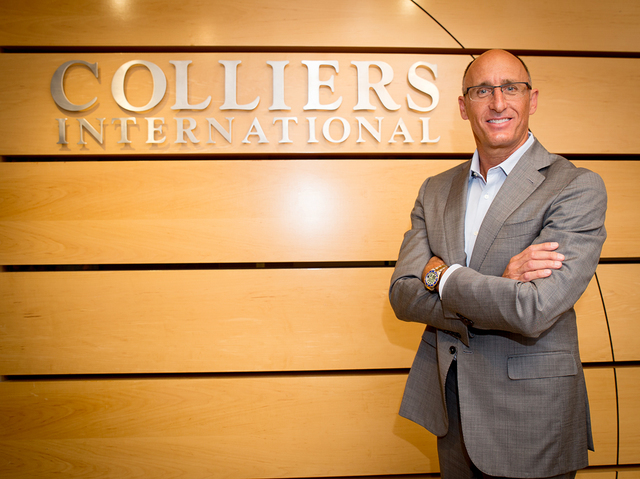 Mike Mixer, executive managing director and co-founder of the Colliers International Las Vegas Office, has been in the commercial real estate industry for nearly three decades, marking more than $2 billion in transactions. Specializing in gaming and the resort corridor, along with the University District, Mixer has represented several of that industry’s biggest players: MGM Resorts International, Wynn Resorts and Morgans Hotel Group. Mixer, a Southern California native, came to Las Vegas to study hotel management at the University of Nevada, Las Vegas in 1984. He began his career as a marketing specialist at the Golden Nugget. 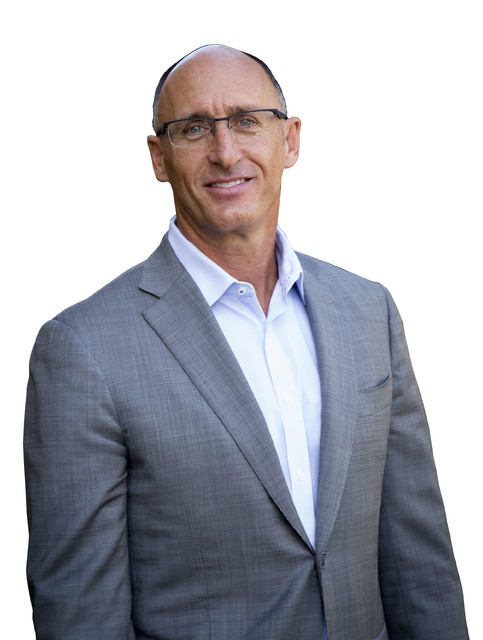 He broke into the commercial real estate industry in 1988, working for an organization that built and owned several office, retail and resort projects in Southern Nevada and California. Five years later, he formed Stuart Mixer Commercial with a partner, Michael Stuart. The firm became Colliers International Las Vegas in the late 1990s. Stuart and Mixer stayed on after the merger. Colliers also has a division that specializes in finding space for the growing medical industry in the valley. Q: How will the hotel industry intersect in Las Vegas with the city’s new medical school? A: I’ve actually talked to UNLV about this. I think there’s a good intersection between the UNLV hotel administration program and the UNLV medical school to really combine those two, and create opportunities to showcase how the combination of these two industries can really work together. In a micro way, in terms of building a hotel on the medical campus and really seeing how it works on a day-to-day basis; in terms of flying someone in and having treatments, and then fly out and they stay on campus. Q: How could private industry use this concept? A: You might see some of the larger hotel chains create something similar or (get) a medical partner for an on-campus facility, where they can attract some really high-end, quality medical professionals to be on staff, and they can actually market (it). … We’ve got the best doctors in the country here. That would be another footprint for enticing travelers to come to their hotel. There are some great opportunities there. I think we’ll start to see that being explored more in the future. Q: What are some other effects of the new UNLV medical school? A: What’s exciting about that is that a lot of studies across the country have shown that when students are educated in a local market — especially in the medical field — they tend to stay and find jobs after they graduate in that market. We haven’t had that … yet. We’re really excited that that will actually start to grow a new community of professionals who are educated here and stay here. Q: Should we expect more medical tourism in Las Vegas? A: If we can establish a really high-quality medical community, we can start to attract patients and customers from all over the world because we’re such an easy city to fly into and to stay. We can accommodate large groups, in terms of high-level medical conventions and meetings, where the top-notch minds of the medical industry can showcase what they do to a greater percentage of people. They (can) bring their conventions and symposiums here. There’s a great opportunity for us to build on that. Q: What do you think the effects on commercial real estate will be from projects like Union Village? A: We’ll see some additional commercial real estate growth because of those campuses. A: I’ve been a surfer all my life, but I don’t surf much in Las Vegas.